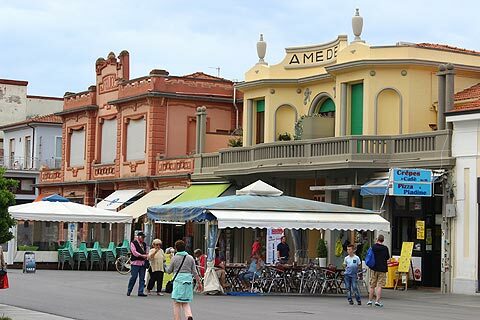 Once one of the most glamorous seaside resorts in Italy, Viareggio is still very popular and retains a good deal of the Art Nouveau architecture for which it is well known. 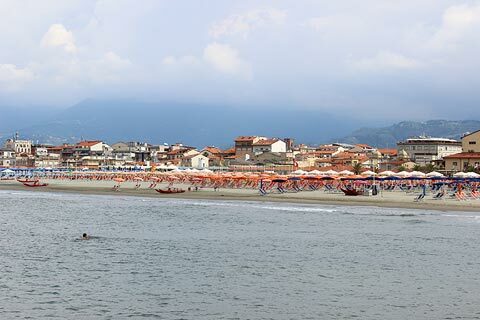 It is situated north of Pisa and west of Lucca in northern Tuscany on the Versilia Coast. 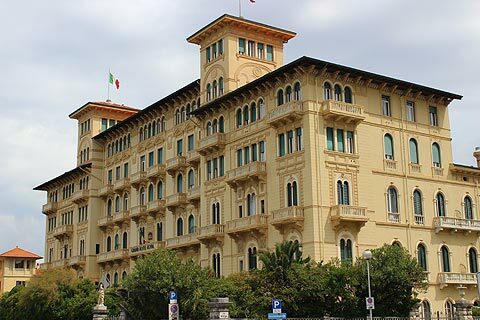 While Viareggio is still very popular and rather expensive it is no longer the 'destination of the rich' that it was 100 years ago. It is however an attractive resort with the art deco architecture and the long promenade adding a great deal of character. 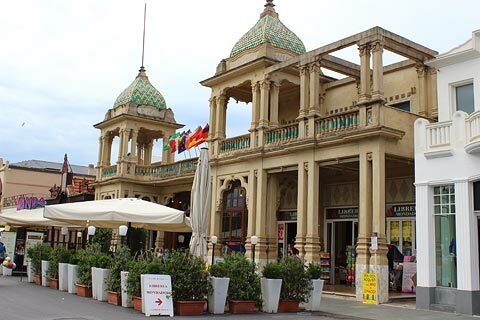 During the second half of the 19th century and early 20th century Viareggio was one of the most elegant and upmarket seaside resorts in Italy, which continued until a large fire destroyed much of the seafront in 1917. A great deal of the destroyed buildings were then replaced with Art Nouveau buildings, an architectural style that was popular at the time. 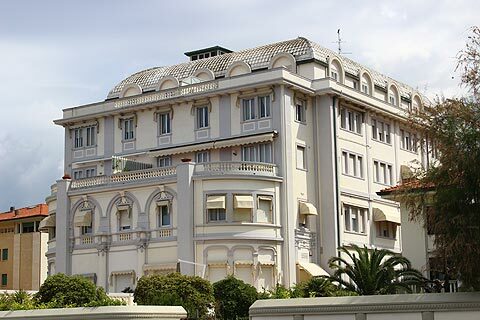 This history explains the distinctive appearance of the centre of the resort where a reasonable number of the cafes and villas are still in this style. This beachfront walk is a pleasant way to take your evening promenade, and the center of activity at all times of day or night with a great deal of shops, cafes and restaurants to choose from. Unfortunately views of the sea are rather rare along the promenade since the shops and cafes are between the promenade and the beach. 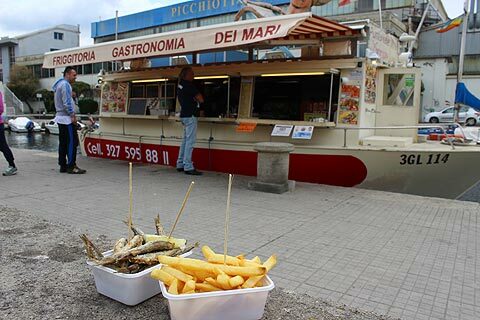 Hint: if you don't want to pay much for your lunch walk across to the harbour where small boats sell snacks such as chips and fried anchovies! 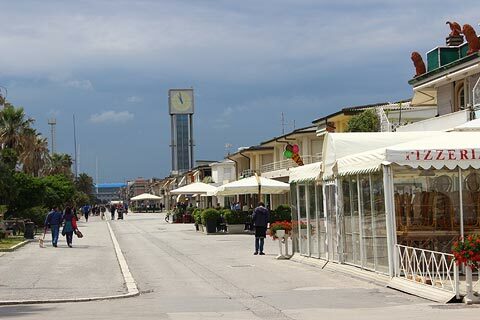 The beaches in Viareggio are crowded and it is hard to find a free (non-paying) place, but are also sandy, sunny and well maintained - if you tire of the artistic marvels of the great Tuscan cities and need a day where the children can relax Viareggio is probably just what you are looking for! The main beach is long, sandy, and covered in long rows of brightly coloured parasols, typical of the larger Italian resorts and quite a sight if you have never seen an Italian beach resort: there are literally thousands of neat rows of colourful parasols with two loungers and a small table placed under each of them, and visitors pay to 'rent' the chairs for a day or half a day (typically 10 - 20 euros a day). 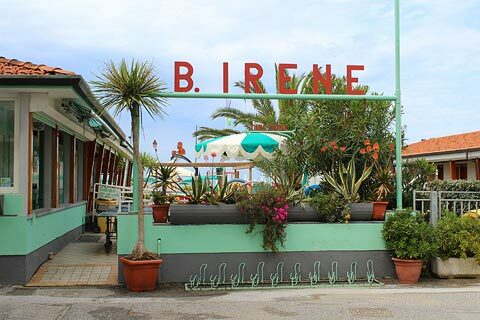 There are various other beaches nearby (just outside the town centre) which are rather less expensive - but of course also without the Art Deco architecture and "buzz" of Viareggio town centre. 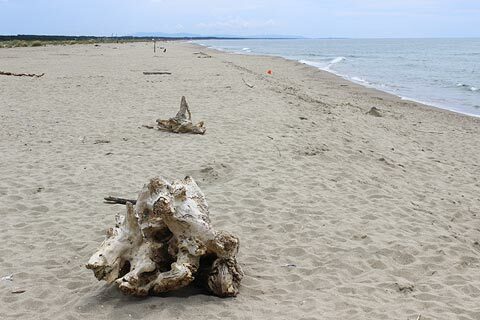 We found two free beaches in Viareggio. One is a tiny strip of beach at the marina end of the main beach, and the other is an extensive sandy beach if you travel a couple of kilometres to the east of the town, beyond the main harbour and along Viale Europa. 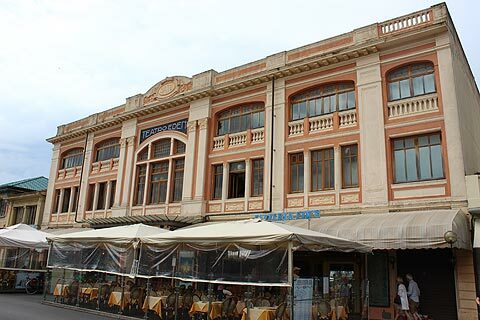 If sitting on a crowded beach has little appeal to you we recommend you visit Viareggio in the heart of winter! The town is at its most interesting in late January and early February when a popular carnival is held here every Sunday around Shrove Tuesday, with decorated floats that attract crowds from across the region. Most floats carry enormous papier-maché models of celebrities and politicians, so non-Italians might not recognise many of them, but it is very entertaining all the same. 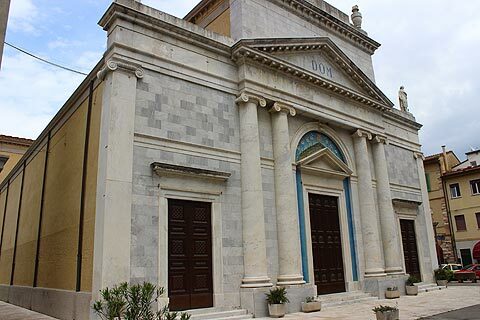 You can follow along a very scenic avenue lined by lime trees and along the edge of a forest just inland from the coast and more beaches and called the Viale dei Tigli - for a few kilometres to the south-east of Viareggio. 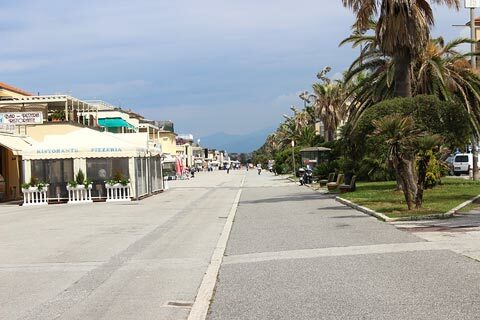 From here you can reach the resort and beach at Marina di Torre del Lago Puccini (turn right at the end of the avenue) and the Puccini Villa (turn left at the end of the avenue). The Puccini Villa is is the one time home of the Italian opera composer Puccini and in a pretty lakeside setting on the shores of Lake Massaciuccoli and where you can now visit the villa and a small Puccini Museum. A little further afield, visitors will all want to visit Pisa but don't forget to allow time to see Lucca as well: just a short distance from Viareggio, Lucca is one of the loveliest medieval towns in Italy.